Broadcast on Thursday 11th October. 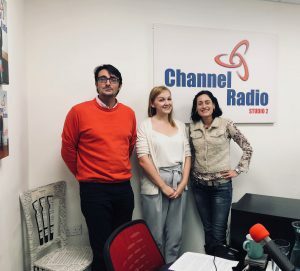 Our studio guest was Claire Battersby, Community Fundraiser at Demelza Hospice Care for Children to talk about their upcoming Pumpkin Hunt taking place this Half Term! Listen to the show to find out how you can join in with the fun fundraiser and also find out more about Demelza. If you’re joining in with the Pumpkin Hunt then don’t forget to use the hashtag #PumpkinHunt on your posts!